Killer Characters: Live, Love, London! 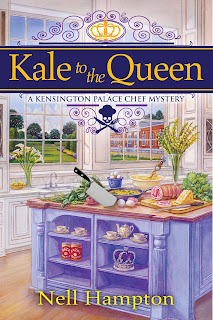 Hi, I'm Carrie Ann Cole, personal chef to the Duke and Duchess of Cambridge. Another little one is on the way, and the Duchess needs me more and more as motherhood and royal duties encroach on her time. I'm so excited to be living in a small flat in Kensington Palace and working in one of the three kitchens the Duke and Duchess have. The Duchess is hosting a bridal shower for my friend Penelope's sister. It seems they all went to college together and were quite chummy. I am tasked to cater the shower and think pies will be a wonderful way to celebrate spring and weddings. But then the Duchess gets called away and the party is moved from the apartments to the Orangery. Since the Orangery has it's own head chef, this complicates things a bit. In a gesture of good will, I leave a lemon curd pie for the staff. 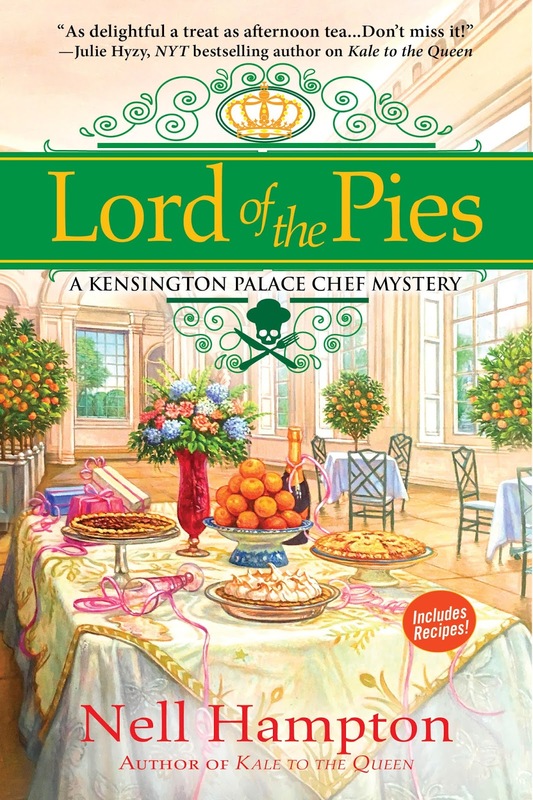 But the next morning a young man is found face first in the pie, dead. Especially since I was involved in the death of one of my assistance not a month before. Murder doesn't happen at the palace. Two murders in a row and fingers start to be pointed at the new girl. 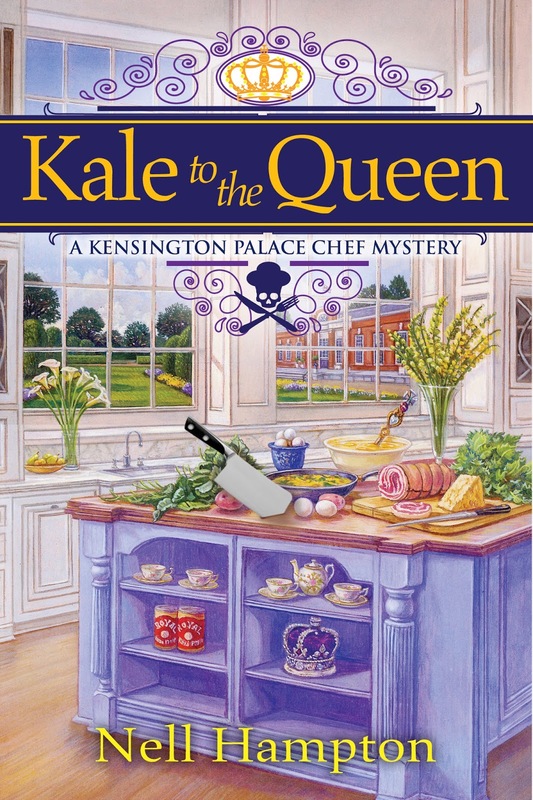 Kale to the Queen is the first book in this series and has a paperback version out March, 13, 2018. If you haven't read it, here is a chance to do just that. 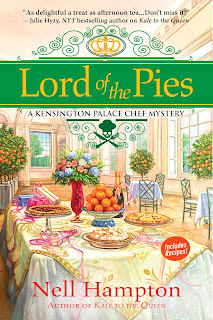 At the end of April, Lord of the Pies releases and you get to see what a mess it is to find someone face down in your favorite lemon curd. When I got the opportunity to live and work in London, I leapt. What city would you drop everything and move to it you could? I'd like to move to San Antonio---took a vacation there once and really loved the city. London is a good one. Also Dublin. I'm sure there are also other wonderful cities I'd like to move to, I just haven't visited them yet. I would move back to the city where i was born and lived for 48 years back to the bay area and the great state of Ca. I moved from Ca to Ia 15 yrs ago after i married an iowan and wow i would love to move back miss my family and the ocean plus my friends!